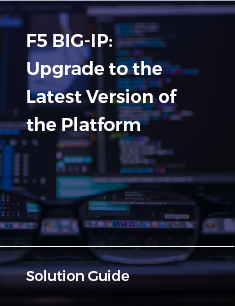 Upgrading F5 BIG-IP devices to their latest versions is a complex, multi-step process involving pre-migration validation checks, UCS back-ups, storing and managing UCS files, updating configurations, and post-migration validation checks. With the phase-out of F5 BIG-IP v10, AppViewX is offering a way to seamlessly transition to F5's latest platforms. By enabling end-to-end automation, organizations can now take advantage of the new features software enhancements can bring, without undergoing a tedious, error-prone migration process.